I have registered for Stephen Downes Personal Learning MOOC (#NRC01PL) even though I am juggling a few balls already. Since I am beginning an accredited course with some colleagues, as well, it may all be a bit much, but I really like Downes’ and company’s work and try to pay enough attention to remain aware, at the least. Having tried some edX courses in the past, the open version of the environment was pretty familiar. Navigating the environment is not really a problem. I am not sure how much I actually like it. However, I am not sure how much I like any course management system. What is a bit more tricky is that at the moment the edX course site is not mature enough as the course hub. By that, I mean that it has not been preloaded with a lot of content, that I can tell. It seems to be evolving in real-time. Downes is getting used to the system at the same time as the participants. Of course, the course site will never include every resource available for the class. That is not really the problem, but there are a handful of streams already where the main content is made available. There is the course site, daily email newsletter, Downes’ blog and YouTube channel, as well as any additional tools employed, like Diigo. It would be nice if that was all clearly collected within the edX course site. I suspect that will improve over time. It seems as though I am not the only one that is contemplating this either. Here are some of my thoughts. I know it is all the start of an experiment, which is fine. Being a cMOOC always carries a bit of an experimental quality, I think. It is one of the appeals. I know through experience that there is no way to keep up with everything that happens in a MOOC, although that has always made me uneasy. 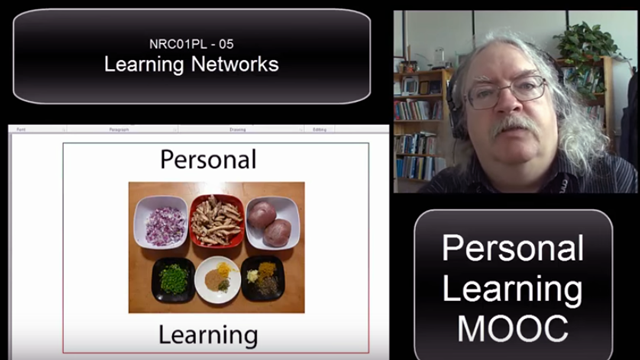 There is never enough time to keep up with all the fascinating things that cMOOCs are so great at creating and aggregating. Yet, I already feel a bit like I am bound to miss something important or forget to look in multiple places for some of the basic information related tot he course. Given that I am also starting a paid course for work that will undoubtedly take a bit more precedence, I worry about how much I will be able to stay connected. I have liked all the cMOOCs I have ever followed, despite feeling like I struggle to stick with them. In the beginning, I would get overwhelmed very quickly and it took a few attempts before getting a better feel for how to manage my own involvement. Of course, so many things can interfere, like a traditional paid-for-course through a university, which has always frustrated me a bit. Still, those are the credits that have more currency in my current environment. More than anything, I am hoping to pick up some methods and tools for better collecting, managing, and sharing my personal learning. It is something I have struggled with and never been completely satisfied with for awhile. I am particularly hoping to find out more about gRSShopper and how to possibly employ that as a possible tool. Similar to Jenny Mackness, I suppose I am not sure how completely active I will be just yet, but as always I begin with the highest of hopes. 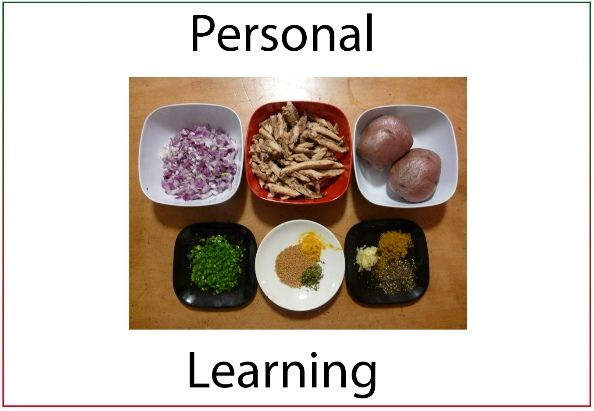 This entry was posted in Teaching & Learning and tagged cMOOC, edX, MOOC, NRC01PL, personal learning, Stephen Downes on February 28, 2016 by Fred Haas - @akh003. A colleague of mine shared this editorial from the Boston Globe with me last week. It is interesting to see how the president of a university like Harvard is out front and contributing to their own marketing efforts in such a public way. The “revolution” is now officially upon us, right? Once upon a time university and college presidents were more vocal participants in the public discourse. Then that seemed to fade as they all become more CEOs than presidents, more sensitive to endowments then education. In a way it is refreshing to see Drew Faust throw herself out there. My fear is that so strong is Harvard’s gravitational pull that what they do tends to set the standard and tempo for so many other institutions. Plus, she just has it all wrong on the participatory level. The interesting thing to me here is just how oversold this EdX and MITx concepts. I am far from the first one to suggest that they are , in fact, not all that revolutionary. What might be revolutionary is that these venerable institutions are giving something away for free, in the form of course content. Although, rest assured they are well on the path of figuring out how they can leverage this freebie into some mechanism to separate participants from their money. However, all of these xMOOC efforts are still the ultimate in an old world model of teaching and learning, “We have scarce knowledge that we will benevolently bequeath to you, the student, pouring it into your wee head so that you may grow.” Better still, you can say that you got it from [insert brand name university here], eventually for a fee. Video lectures are still lectures, which we know is only one model of teaching that achieves mixed results. There certainly is a time and place for lecture as an educational tool, and it can be effective too. Yet, a lecture model is still rooted in the notion of scarce, stored knowledge, which is increasingly unraveling. What’s more, as free as some of it might be, it is certainly not open – at least in the truest sense of the term. Were they truly open and distributed across a range of platforms, not hiding behind clunky course management systems, xMOOCs might be more revolutionary but even then only slightly. Instead, these courses are tightly bound behind a secured digital wall, and they are not necessarily available forever either. In contrast to the connectivist MOOCs, which are open, dynamic, and challenging the very notion of what a course might actually be, the brand name efforts significantly pale on the scale of revolutions, which doesn’t exist but should. Somewhere in a Latin American Internet cafe the next would-be, digitally savvy Che should be building a matrix of educational revolutions on a laptop that establishes a spectrum, or at least top ten list, to be shared with the world wide web! That would be almost as entertaining as President Faust’s ironic invocation of the blackboard. I am not sure who Harvard uses for their course management system. Perhaps the Blackboard revolution has returned and she has made her own devil’s bargain. This entry was posted in Learning and tagged cMOOC, Harvard University, HarvardX, MOOCs, xMOOC on March 11, 2013 by Fred Haas - @akh003.